Articles about NSF’s smart cities initiative. On Monday, Sept. 15th, National Science Foundation (NSF) Director, Dr. France Córdova, joined other federal science leaders at the White House, including the President’s Science Advisor, Dr. John Holdren, and U.S. Chief Technology Officer, Ms. Megan Smith, to help kick off a new government-wide Smart Cities Initiative. 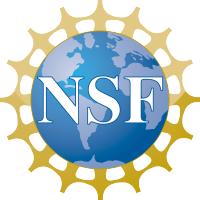 NSF’s Directorate for Computer and Information Science and Engineering (CISE) is pleased to be playing a leadership role in this initiative.